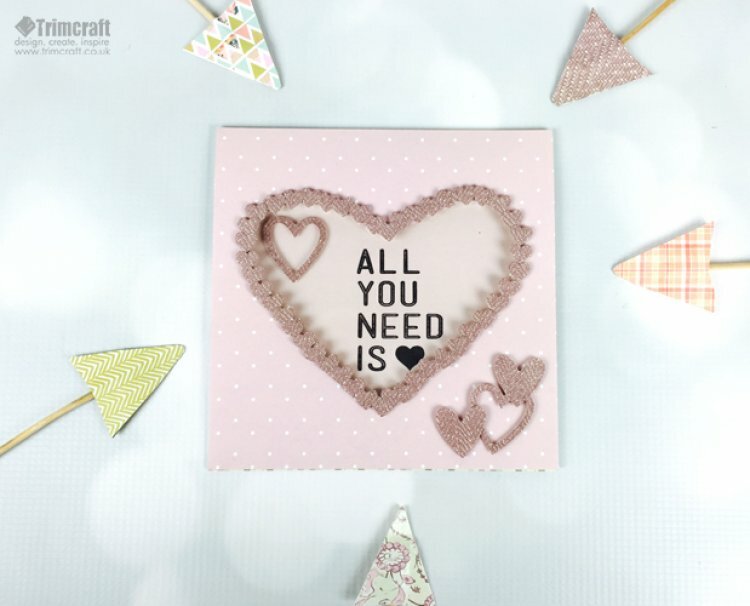 We have written an easy to follow tutorial for this pretty in pink creation and with it's simple yet effective design, you can reinvent it for different events and spend endless hours making variations of this lovely card! 1. Lightly draw a heart in the centre of the card blank and cut out. Glue a piece of backing paper to the front of the card, flip the card and using a craft knife, cut around the heart to create a window. 2. On a piece of acetate, draw a similar sized heart, ensuring to add an extra 0.5 cm around the edge so you have space to glue onto the inside of the card. Once drawn, cut out and add to the back of the aperture. 3. Cut a 6x6 square of backing paper and glue to the inside of the card blank. 4. Use the leftover A4 acetate sheet as a stencil to draw out a heart shape on a piece of backing paper. Cut the heart shape, stamp the sentiment in the centre and apply it to the centre of the inside of the card. Make sure that it is in line with the window at the front of the card. 5. Use the border die to cut some small hearts, adhere with foam pads, ensuring that there are no gaps around the edge of the heart. 6. Die cut some of the hearts from the wedding die set to the edge of the card and one for the inside of the card. This design is so simplistic and varied, you're sure to find new and exciting ways to craft with it! Tell us your suggestions and remember to upload your lovely makes on the project gallery.